Freshly updated 2 bdrm/ 2 ceramic baths/ 2 car garage, huge rear deck, fenced rear yard with shed and garden space, includes frig/ stove/ dishwasher/ & laundry room appliances, a/c, lighted closets, bsmt laundry. $925 includes lawn and snow plowing service, $875 without. 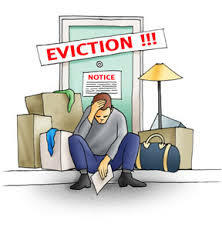 Federal legislation signed in May 2009 gives important rights to tenants whose landlords have lost their properties through foreclosure. Renters and tenants are now being affected by foreclosures almost as often as homeowners. The mortgage industry crisis that started in 2006 has resulted in thousands — no, make that millions — of foreclosed homes. Most of the occupants are the homeowners themselves, who must scramble to find alternate housing with very little notice. They’re being joined by scores of renters who discover, often with no warning, that their rented house or apartment is now owned by a bank, which wants them out.